An important part of being at a conference is networking. 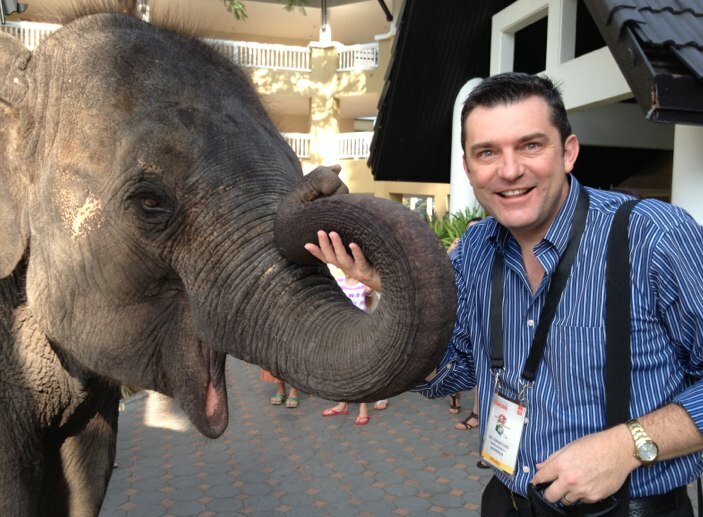 The 2013 Adobe Education Leadership Forum for Asia Pacific involved over 150 people from 12 countries within APAC all with a passion to enhance creativity in education within the region. 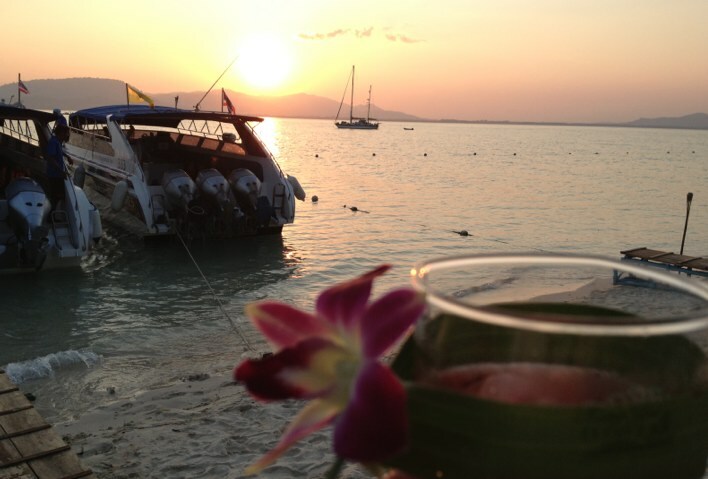 The venue was the beautiful luxury resort Angsana Languna in Phuket, Thailand. I had the opportunity to present the topic ‘Bridging the Disconnects‘ and received a very positive response. 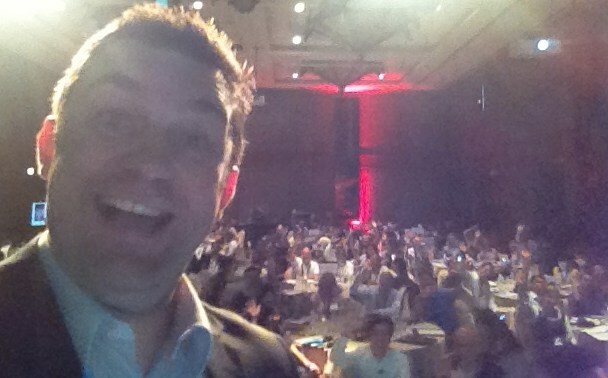 An attempt at a presentation selfy on stage – felt like a good idea at the time. 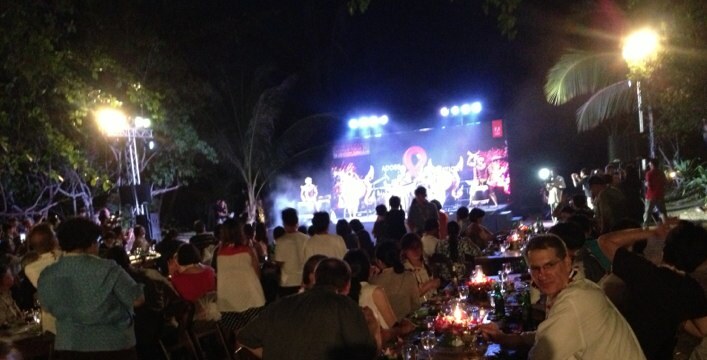 The big highlight of the two very busy days was the delicious conference banquet at Rang Yai Island via speed boat, complete with traditional Thai dancers, drummers, fire twirlers and fireworks. 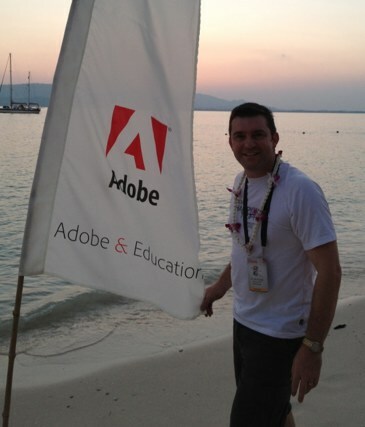 This event gave be an opportunity to meet many of my future new work colleagues and a much better idea of what I will be up to in the near future when I join the APAC Adobe education team.